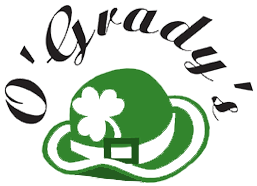 O'Grady's Family Restaurant | Family Owned and Operated for 19 Years in Phoenixville, PA! All are Served with Choice of Cup of Soup, Potato Chips or French Fries. Make Your Sandwich Even Better. BLT "An All Time Favorite"
Our homemade chicken salad (white meat chicken mixed with apples, grapes and walnuts), lettuce, tomato and mayonnaise on choice of bread. On a roll with lettuce, tomato and tartar sauce. Golden fried flounder with lettuce and tartar sauce on an Italian roll.